So what we're creating is a Fantasy League for politicians. Users form "teams" by following issues important to them. They add "players" to their teams by tracking individual politicians, and receive alerts when their politicians act in-favor or against those issues. 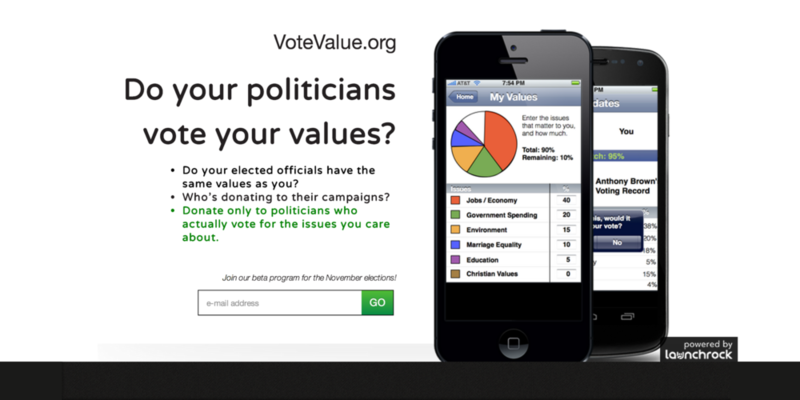 Users are also encouraged to put money behind their values. The money is distributed each month to the campaigns of the politicians who do their job, and users can take money away from politicians who don't.